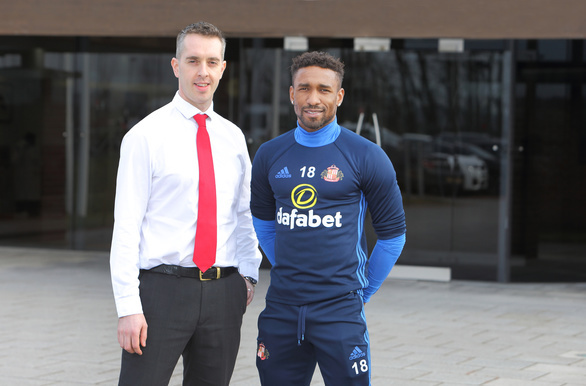 A grassroots football club which honed the talents of current Sunderland FC star striker Jermain Defoe has earned its charitable status thanks to support from us, the leading North East law firm. Volunteer-run Senrab Football Club, based in London, has laid the foundations for a brighter, stronger future by successfully becoming a charity. The move, which was overseen by our top-ranked sports lawyers, will bring with it security and a range of financial benefits for the club which has seen 150 boys come through its ranks to go on to play professionally, including the likes of John Terry, Ashley Cole and Ledley King. Our Luke Donockley undertook the legal work associated with incorporating the club into a limited company and applying for charitable status, which was completed for free in acknowledgement of our long-standing relationship with the famous club. Last year, our experts helped Senrab FC secure funds through FIFA’s solidarity mechanism – which allows youth football clubs to benefit financially from the international transfer of former players – following Defoe’s moves from Tottenham Hotspur to Toronto and then on to Sunderland in 2015. Tony Carroll, Club Secretary from Senrab Football Club, said: “We’re extremely grateful to Muckle for their guidance and support over the last few years. The level of knowledge and expertise of the team really is second to none and they continue to go above and beyond to help secure the future of our club. Luke Donockley from our Sports team said: “Senrab FC acts as a community hub for hundreds of boys and girls in Tower Hamlets and it’s been an honour to work with them again. There’s a team of fantastic people at the club who work tirelessly as volunteers to nurture young talent so it’s no surprise they’re considered one of the most successful grassroots football clubs in the country. But like many, they still need to continue to generate funds each year just to keep the club running. We have niche sector experience advising sports charities, from grassroots level to the top of the professional game, having advised to date 75 of the 92 professional clubs in The Premier League and The English Football League, on their CSR, education, sports and community initiatives. 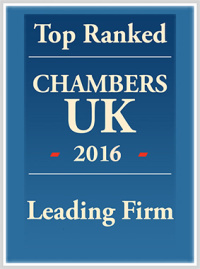 Additionally, we are the only law firm in the North to be recognised in the top tier for ‘Sport’ by Legal 500 and we also hold a place on the prestigious Legal Panel Framework, established by Sport England, Sport Wales, UK Sport and the Sport and Recreation Alliance. Our team is instructed regularly by The PFA (Professional Footballers’ Association) and The Premier League to advise their respective members on charity and community matters. To find out how we can help your business, please contact John Devine on 0191 211 7905.